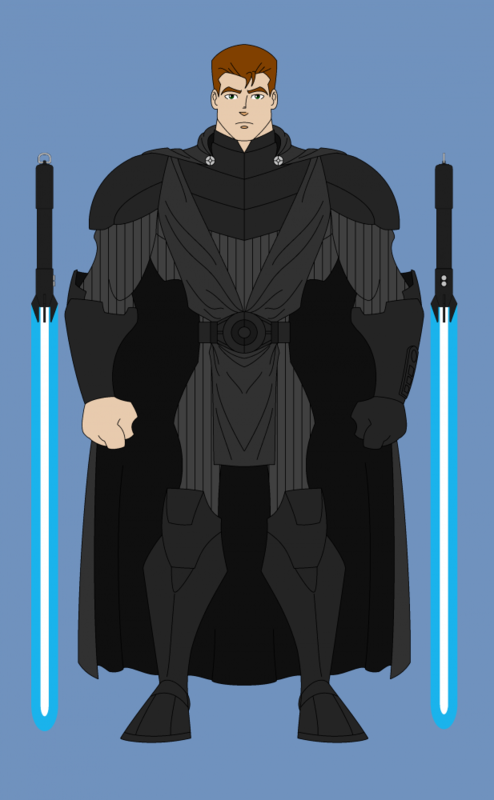 This is a very cartoony version of my character Zex Duross as a sith lord named Darth Callous. I played this character years ago in an online RPG starting just after Episode 1 came out in 99. The drawing it's self was actually another character entierly amd I for some reason looked at it and thought I chould change it into Zex. I honestly just half-assed the whole thing really. He should have a small chain connecting the two point on his cloak but I have a hard time doing chains in paint so I just didn't add it. I added his two lightsabers tho, cause I love lightsabers.